Whether you’ve already raised funding for your startup or are just on the fringes of starting your own business, we’re here to help. Work with society leadership, day in day out, to help achieve UCLE’s growth objectives. The role of a first-year executive (FYE) is one of the most coveted and high impact executive roles in the society. As an FYE, you will work directly with the President and Vice-President of UCLE. The FYE program will also include rotation between all divisions within UCLE. You’ll get a chance to work with and speak to all the division heads (or directors, as well call them) and get a sense of the challenges they deal with. 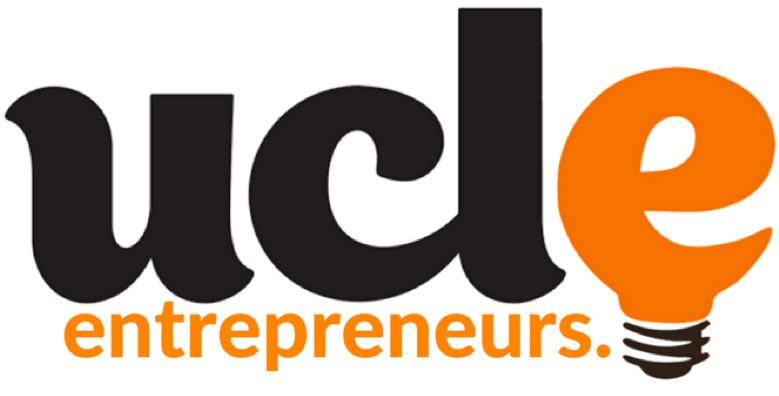 Help organise UCL’s most prestigious accelerator programme for idea stage startups. Moonshot Launchpad is a comprehensive 9-week pre-accelerator for startups in Energy, Healthcare, FinTech, or Smart Cities sectors. The programme is targeted to aspiring student entrepreneurs who want to make their business idea a reality by learning new skills and building a large network. Last year, our participants benefited from tons of expert mentorship and a series of “Idea Surgeries” a.k.a. workshops conducted by fantastic speakers from top organisations such as UCL Innovation and Enterprise, Microsoft Accelerator, NHS, GSK and many more! The best teams will compete for pre-seed funding, an opportunity to pitch in the UCLE VC Fund and be potentially referred to accelerators from our partners. Match-up top entrepreneurs and manage large budgets by coordinating UCLE’s social calendar. The mission of the socials division is to connect students who have a deep passion for entrepreneurship. This is achieved either via organising quirky and fun socials or semi-formal networking events. Expose yourself to the world of Venture Capital through UCL’s only student run VC Fund. The Venture Capital Fund provides equity and debt free pre-seed capital to UCL based startups. At the Fund, we have a bold vision: to grow the student startup community. We believe that we can empower the next generation of students to become entrepreneurs and create companies that move humanity forward. To do so, we organize a student startups competition twice a year, where the founders are interviewed by our executive team to win grant funding. The best startups are invited to pitch their ideas to a panel of judges from companies such as Google, Accel Partners, Citymapper, Techstars, Balderton Capital and more. By joining the committee, you will get exposure to the world of Venture Capital and access to our vast network of VCs and startups all around Europe. Catalyse female participation in the tech industry by organising one of London’s top hackathons. The mission of the Women-In-Tech division is to encourage more girls to enter the tech industry. Our flagship event is hatch a 2-day innovation hackathon, which leverages diversity and technology to solve real world problems and create social impact. Planning, booking and coordinating all logistical requirements for the events including booking the venue and controlling site facilities. Be responsible for bringing world famous entrepreneurs to UCL to share their journey. The Events Division is the team in charge of organising some of the largest, most exciting speaker events at UCL. It is the presidential incubator of the society. Previous speakers include the ex-CFO of Google, co-found of Skype, co-founder of Google Deepmind, CEO and co-founder of Monzo, and the best-selling author of the book “The Second Machine Age”. Be responsible for establishing new connections and answering all external communication. The role of a Partnership Executive is one of the most coveted and high impact executive roles in the society. As a PE, you will work directly with the president and vice-president of UCL Entrepreneurs. Learn how to create a brand, master social media and ultimately build UCLE’s campus presence. If you’re a creative soul or a social media diva, the marketing division is for you. The marketing division is a vital part of ensuring that UCLE’s presence, on both online and offline platforms, is well established and strong. It is also an important aspect to upholding UCLE’s brand and spreading the word of all our events and happenings. Executives will get creative freedom to produce high quality content whilst working closely with the Marketing director. UCL Entrepreneurs Society is a registered society with the University College London Student’s Union. All degree backgrounds and years of study are welcome to apply for Executive positions – Note: First Year Executive positions are resevered for first years on three year courses and second years on four year courses. Lead the strategic vision of the society to ensure sustainable growth and increase membership. The President must have a clear vision for the society and oversees all divisions. They are responsible for implementing a strategic direction across all divisions in order to generate the most value for our members. A thorough understanding of each division is a must. The President ultimately carries the responsibility for both the success and failure of initiatives. Problem solving and stepping up in times of need are key parts of the role in order to ensure the society runs smoothly. The President must be dedicated, hard working and committed to achieving the best results. The President of the UCL Entrepreneurs Society is also Co-President of the UCL Guild and as such they must collaborate and maintain diplomatic relationships. It is crucial to demonstrate leadership and forward-thinking to ensure the success of the UCL Entrepreneurs Society but also of the UCL Guild as a whole. Vice-President is the backbone of the society’s leadership, assisting the President day in, day out. The Vice-President role is key to the success of the society and is highly flexible. It is highly important that the Vice-President has a clear understanding of the main objectives of each division and the challenges they may face. Vice President will also take on the additional task as Welfare Officer on behalf of the society for the Union. The Welfare Officer role is responsible to encourage members to join and interact with the society at every level no matter the background, ability, requirements or beliefs of that individual. Oversee the society’s finances whilst assuming a senior role in the leadership of the society. The Treasurer’s key responsibility is managing the societies budget and controlling how the funds are used for different divisions throughout the year. The role also involves planning expenditures, handling payments and managing liquidity. For one to perform well in this role, numerical comfortability, desire to make an impact, excellent teamwork and communication skills are required. The role of Treasurer includes maintaining good relations with the Union and UCL Finance Departments. In addition, the role requires working closely with the Directors from each division to ensure smooth planning and running of the events throughout the year. The treasurer role is a great way to get more exposure to different divisions of the society, while holding a high leadership position. Able to work with relevant people both inside and outside the society and provide support to the President, Vice-President and other divisions of the society if needed. Working out the budget, approaching sponsors and getting involved with other areas of the society. Grow and nurture UCLE’s professional network for the societies many divisions to leverage. The Outreach Officer aims to increase public recognition of UCLE through making partnerships with entrepreneurial organisations and developing and maintaining valuable connections for all divisions to leverage. Outreach Officer will also take on the additional task as Community Outreach Officer on behalf of the society for the Union. The Community Outreach Officer role is responsible for facilitating volunteering initiatives on behalf of the society. What should I include in my nomination email? To register your nomination for any of the roles please email the respective email address of the position you wish to nominate yourself for: president@ucle.co, vicepresident@ucle.co, treasurer@ucle.co and outreach@ucle.co. Please note you can run for a maximum of 2 roles. Your email must include your first name, last name, UCL student ID, the date at which you purchased your UCL Entrepreneurs Society membership and should be titled “UCL Entrepreneurs Society AGM Nomination”. Please ensure the email is sent from a valid UCL email address. For the 2019 AGM nominations close Tuesday 5th March at 18:00 GMT. When is the AGM this year? The 2019 AGM is on March 8th 18:00 GMT at Darwin B40 LT, University College London. UCL Entrepreneurs Society is a registered society with the University College London Student’s Union. Per Union rules, you must have been a full member (purchased membership through Union website) of the UCL Entrepreneurs Society 28 days in advance of the AGM to be eligible to run for any of the available roles or to be able to vote. Visiting and associate members cannot vote or hold any elected position. We are always in need of more help. We recruit on a bi-annual basis in the form of “Executives”, an entry level position on our committee. Applications open at the start and end of the UCL academic calendar, following our social media channels is the best way to be the first to know. Can people from other universities attend events? Yes! All non-UCL students are welcome to attend, in certain scenarios the venues within UCL require UCL ID on entry and are thus inaccessible. If this is this case we try our best to clearly mention this in the event description beforehand. Nevertheless, we frequently work with other entrepreneurial societies across London to host join events which are always held in easily accessible venues. Will you advertise my startup's internship oppurtunity? We appreciate startups, particularly student startups, don’t have the resources to promote themselves in order to find crucial talent at and early stage. We’ll do it for you, just let us know at contact@ucle.co and we’ll try our best to get your message out through our various channels. I've just started building my startup, do you provide support? Contact us at contact@ucle.co explaining your situation we’ll put you in touch with the right people. We’re here to help free of charge and always love to hear about other peoples entrepreneurial journey! Do you provide free drinks at socials? Committee only unfortunately, applications open at the start and end of the UCL academic calendar.